Wondering where to stay when you are in Las Vegas? Sin City has no dearth of fine hotels and resorts. 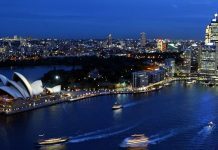 Whether you want to stay in the Strip, where most of the action takes place, or somewhere outside where it is quieter, you will not find it hard to find an accommodation that suits your taste. But wherever you go, there are always a few that are better than the rest in terms of comfort, luxury, service, amenities and aesthetics. Here are the top 5 hotels in Las Vegas. Located on Las Vegas Boulevard, the heart of the Strip, the Mandarin Oriental Las Vegas, a member of the Mandarin Oriental clan, is a stunningly beautiful and luxurious hotel with a quiet and classy atmosphere. This Forbes triple five hotel is practically a boutique compared to the other monumental towers in the Strip but it is distinguished by its sheer beauty and subtle Asian-inspired design aesthetics. The hotel’s 392 guestrooms and suites are spacious and filled with every modern amenity you may expect in a luxury hotel, including 42-inch flat-screen TVs. The hotel’s critically acclaimed spa, which is a huge hit with guests, has some of the best masseuses in the city. 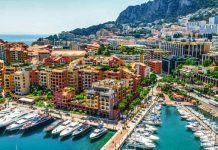 Though the Mandarin Oriental doesn’t have its own casino, you won’t have to travel far to find a casino because the Monte Carlo Resort and Casino is right next door. The hotel sits at the entrance to ARIA Resort and Casino, the new cultural heart of Las Vegas, and is linked to Crystals, a buzzing retail and entertainment district, by a sky bridge. T-Mobile Arena, the city’s newest entertainment complex is just 5 minutes’ walk away and McCarran International Airport is just 10 minutes’ drive away. Sitting high above the Las Vega Strip at the top of the ARIA Resort and Casino, the new cultural heart of Las Vegas, ARIA Sky Suites is a luxurious AAA Five Diamond retreat designed for those who are looking for the ultimate vacation experience. Guests can choose from 1- and 2-bedroom suites or penthouses and, if you can afford it, sky villas. The villas range from 2,000 to 7,000 square feet floor space and have floor-to-ceiling windows that offer an incredibly beautiful panoramic view of the city. Every suite has a separate bedroom and living room equipped with flat-screen TVs, refrigerators and touchscreen consoles that allow you to control everything from the entertainment system to blackout drapes at the touch of button. A personal concierge is assigned to each suite, which adds a totally new dimension to the Las Vegas experience. Guests have unhindered access to the facilities and amenities at the ARIA Resort and Hotel, including its casino, restaurants, pools, spa, and nightlife options. If you are feeling hot, there is a private pool. If you are an art lover, then there is an art gallery. For foodies, there is a lounge with free food and drinks. T-Mobile Arena, the city’s newest entertainment complex is just 5 minutes’ walk away, and McCarran International Airport is just 10 minutes’ drive away. One of the more modern hotels in Sin City, the Cosmopolitan of Las Vegas has everything you would expect to find in a luxury casino hotel. The hotel is located on the Strip just steps away from Bellagio and Crystals at City Center. It has 3,041 comfortable and contemporary rooms featuring minibars, flat-screen TVs, air-conditioners, and wireless internet access. Each room has a spacious, marble-floored bathroom with separate seating areas. For those who like to take a dip between meals, there are three outdoor swimming pools and three spa tubs. The spa offers body treatment, massage and facials. The hotel’s Wicked Spoon brunch buffet is highly appreciated by guests and critics. It is one of the few hotels in Las Vegas that offer the option of room with a balcony or terrace (in suite categories). The Cosmopolitan is a member of the Marriot family. The hotel’s 100,000 square-foot casino has a multitude of gaming tables and slot machines where you can play a game of your choice. If you are hungry, you can go to one of the 14 restaurants where they serve every type of cuisine. Crystal at City Center, a buzzing retail and entertainment district, is just steps away and the airport is just 10 – 15 minutes’ drive from the hotel. Encore at Wynn Las Vegas is a modern and stylish luxury hotel located in Las Vegas Boulevard, the heart of the strip. It is distinguished by its beautiful and elegant décor, which is a fusion of Asian and Mediterranean design elements. There are three types of rooms for guests: Wynn resort rooms, Wynn towers suites, Encore resort suites and Encore tower suites. The room sizes range from 640 square-feet (resort rooms) to 2,261 square-feet (salon suite). For families who are looking for a home away from home during their vacation, 3,475 square-foot 2-bedroom apartments and 5,289 square-foot 3-bedroom duplexes are also available. Each room has wide windows that offer panoramic views of Las Vegas. Encore at Wynn Las Vegas is known for some of the best cuisine in Las Vegas. Together with its sister hotel Wynn Las Vegas, it has more Forbes Travel Guide 4-star award-winning restaurants than any resorts in North America. For entertainment, the Encore Theater hosts live music and large production shows. Crystal at City Center, a buzzing retail and entertainment district, is just steps away and the airport is just 10 – 15 minutes’ drive from the hotel. 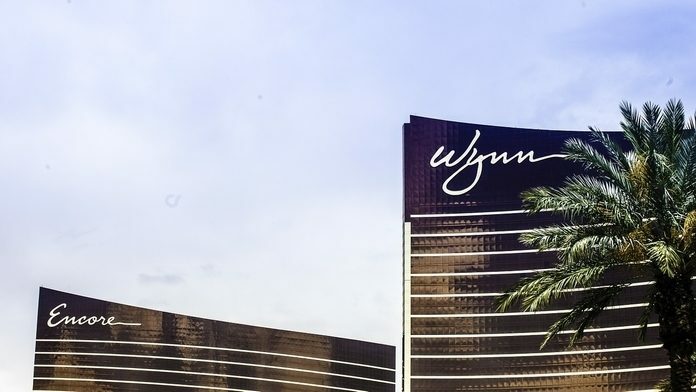 If you are planning to stay at Encore at Wynn Las Vegas, then you must be prepared to splurge because it’s not a hotel for vacationers with a tight budget. One of the most expensive hotels in the world, the ultra-luxurious SKYLOFTS at MGM Grand offers a true once in a lifetime experience. This Forbes 5-Star and AAA 5-Diamond-rated hotel offers all the comfort and luxuries of life under one roof: exquisitely beautiful rooms, state-of-the-art technology (TV in the Mirror, video game system consoles, and on-demand movies), and personalized service (with 24-hour personal butler). There are three types of lofts: 1-bedroom loft (1,400 square-foot with 1 luxurious king-size bed), 2-bedroom loft (3,000 square-foot with 1 king-size and 2 luxurious queen-size beds), and 3-bedroom loft (6,000 square-foot with 2 luxurious king-size and 2 luxurious queen-size beds). The 2-bedroom lofts have two bathrooms, a living room, a den, a bar area and a media room. The 3-bedroom lofts have three bathrooms, a living room, a den, a bar area, a billiard room, a butler pantry, and a media room. SKYLOFTS at MGM offers personal concierge service 24 hours a day. The concierge will be in touch with you prior to your arrival to make note of what you want. The hotel has 20 restaurants that serve cuisines from around the world. 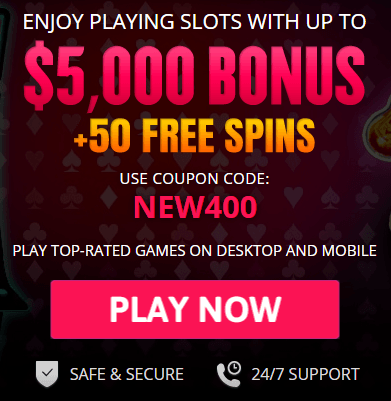 The spacious casino has hundreds of table games and slots machines that offer every kind of game for amateur gamers to professional gamblers. Crystal at City Center, a buzzing retail and entertainment district, is within walking distance and the airport is just 10 – 15 minutes’ drive from the hotel. If you are planning to stay at Encore at Wynn Las Vegas, you must be prepared to splurge because it’s not a hotel for vacationers with a tight budget. This is not a definitive list by any means. There are many other fine hotels and resorts in Las Vegas that are just as good as these five, if not better. 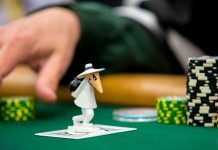 Previous articleHow Is Sports Betting Going So Far in N.J.?